RALEIGH, N.C., Mar. 22, 2011 — The East Coast Game Conference (ECGC) has announced its final line-up of technical tracks and speakers for a dynamic learning exchange on market innovation, game development trends and what’s on the horizon for the video game industry. Under the theme, Engage and Connect, attendees will have the opportunity to engage with seven extensive tracks comprised of panels, lectures and discussions with industry talent from across the nation and around the world. New this year, each track is geared toward a specific industry audience, whether that is technologists and artists developing games, individuals working with advanced learning technologies or social network games or professionals interested in sharpening their game production business acumen. 1. Business of Games – Gamification is the hot topic as social networks, immersive media and innovative marketing converges with games. Highlighted speakers include: Robert Hubal, Senior Researcher at RTI International; Chris Sullivan, Vice President for Bunchball; Cord Silverstein, Executive Vice President of Interactive Communications for Capstrat. 2. 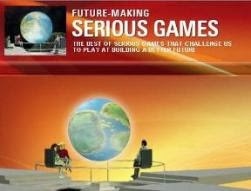 Advanced Learning – This track will offer sessions on "Serious Games", social networks and other immersive technologies that are used to inspire, educate and train the "next-gen" workforce, as well as game technologies and applications used for simulation and training in government, military and healthcare. Highlighted speakers include: Richard Boyd, Chief Architect for Lockheed Martin Virtual World Labs; Christopher Clark, Vice President of User Experience for Audax Health Solution; Randy Brown, Chief Technology Officer for Virtual Heroes. 3. Programming – Developers will share algorithms, engines, technology, techniques and best practices that today’s game companies must cultivate to create immersive, engaging entertainment product. Highlighted speakers include: Anthony Marinello, Developer at Electronic Arts; Michael Noland, Senior Engine Programmer at Epic Games, Inc.; Jim Van Verth, Engine Programmer at Insomniac Games, Inc.
4. Visual Arts – The masters of the pixel will step out from behind the curtain and share some of the techniques that brought top titles to gorgeous life. Highlighted speakers include: Jeremy Ernst, Character Rigger at Epic Games, Inc.; Eric Plante, Character Animation Product Manager for Autodesk; Dominic Cianciolo, Cinematic Director for NetherRealm Studios. 5. Game Design – How do we keep the players coming back for more? Speakers in this track will discuss new game mechanics, turn over genre conventions and consider new ways to push the boundaries of gameplay. Highlighted speakers include: Dave Ellis, author and Lead Game Designer for Vicious Cycle Software. Inc.; Brad Merritt, Lead Game Designer for Cartoon Network’s Games Studio; Dr. Mark Riedl, Assistant Professor in the School of Interactive Computing at Georgia Tech. 6. Social and Mobile – The ubiquity of mobile phones and the connectedness of social networks are bringing everyone together… to play games! Speakers in this track will outline the revolution happening in social networks, handhelds, independent development and how to best take advantage of these trends. Highlighted speakers include: Lloyd Melnick, General Manager International Operations for Playdom; Lars Bishop, Mobile/Embedded Software Engineer at NVIDIA; Lilli Thompson, Game Developer Advocate for Google. 7. Game Fundamentals – Whether you’re trying to break into the industry or you’re an up and coming superstar, this track will cover the fundamental rules of engagement for those interested in getting into game development. Highlighted speakers include: Tony Gaddis, Author and Educator at Haywood Community College; Ken Turner, Adjunct Professor at Wake Technical Community College; Terry Johnson, Co-Founder of Yuubik Games. Held in Raleigh, North Carolina, the East Coast Game Conference (formerly the Triangle Game Conference) is a leading East Coast forum for sharing game industry expertise, networking and career building. 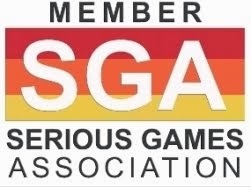 Serving members who are market-leading companies and prominent industry figures based on the East Coast, ECGC’s goal is to engage and connect professionals who have gathered in the North Carolina gaming hub and surrounding region to master the arts and sciences of gaming. The program features panels and lectures by game industry experts covering game technology, the business of games and advanced learning and simulation technologies as well as an Expo and Career Lounge.